Based on Neil Gaiman's international best-selling book, "Coraline" is the story of a young girl (voiced by Fanning) who unlocks a mysterious door in her new home, and enters into an adventure in a parallel reality. On the surface, this other world eerily mimics her own life - though much more fantastical. In it, Coraline encounters such off-kilter inhabitants as the morbidly funny Miss Forcible and Miss Spink (French and Ms. Saunders, respectively), and a counterfeit mother (Hatcher) - who attempts to keep her. Ultimately, Coraline must count on her resourcefulness, determination, and bravery to get back home. 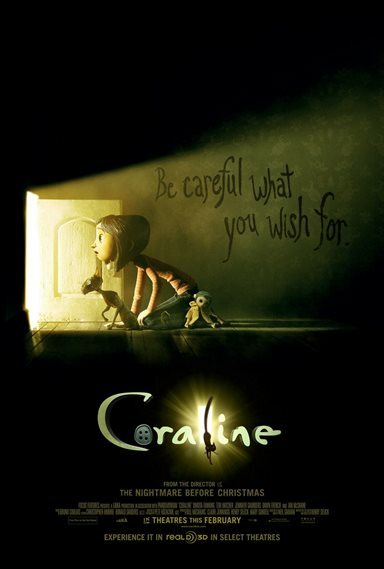 Download Coraline in Digital HD from the iTunes store. Coraline images are © Focus Features. All Rights Reserved. Only one hour, 40 minutes long, Coraline did not set out to be the world's longest stop-motion movie. The plan was to switch from real models to computer animation in the other-world the same way that The Wizard of Oz went from black and white to color. However, when this was tried, it was found that the full-of-life other-world came out flat and soulless on the computer screens; and when computer animation was tried for the real world, and go to models in the other-space, it didn't work either. In the very opening credits of Coraline, I think you can see why: something with metal hands performs an autopsy on a doll -- the fabric and the texture are clearly real on screen. I do not doubt that this, the weave of the thread (the tiny strands) could be simulated by a computer; but I think it would be very, very difficult. I think we are "not yet there". The story itself is about an 11-year old girl who moves into a new, very strange house and finds escape from her new and boring world -- her mom is preoccupied and snappy. Her dad is more likable, but also distracted with work. Similiar to a small door that often times leads to another world is the house just like hers and her "Other Mother" and "Other Father" who very much like the real ones, but fun. They have black button eyes. The story starts out a bit surreal and then becomes more and more creepy as it turns out that the fun world has its problems -- namely, that Coraline may be caught there --forced to stay forever -- with buttons sewn into her eyes; and her parents have not been exactly truthful about their own natures either. The story spirals upward in tension into a panic-inducing finale which involves things jumping out, not being safe when you feel you should be, and some fairly heart-stopping visuals. Let me be clear about one thing: the movie is entrancing if you are the right age. Unfortunately, I took my daughter, who I thought was the right age, but was mistaken -- the right age is probably a good deal older than she is; she just turned seven-years old. Putting "fright issue" aside (and there were other youngsters who were audibly upset in the theater), the movie is a tour-de-force. Not only are the visual effects, set design, and lighting exceptional, but the shooting of the movie in 3D makes the experience even more engaging. Dakota Fanning, who voices Coraline, does so with vigor and projects a strength the movie needs to keep from imploding. Teri Hatcher does both the real-mom as well as the "other" (the antagonist is referred to as 'The Beldam', possibly a mythical death spirit from a poem by Keats) with a sort of venomous glee. The rest of the performances are squarely in the decent zone with the exception of Keith David who does "Cat" -- a feline from our world who can talk on the other side and serves as a guide and ally to Coraline. He hits perfect notes between sneering, contempt, and caring. The movie has a sense of strangeness and the magic comes, and I believe primarily from the mind of Neil Gaiman who wrote the novel and has a pitch-perfect sense of the modern/urban fairy-tale. The screen play and direction was done by Henry Selick -- the same stop-motion genius who did The Nightmare Before Christmas. 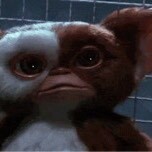 I had thought Tim Burton had a hand in making the movie, but apparently not. Burton, however, is apparently making Wonderland (Alice's) and, indeed, there is a definite lineage from the iconic surreal children's story to Coraline. It will be interesting to see if Burton's sense of whimsy produces a substantially different feel than Gaiman's eye for fairy tales. 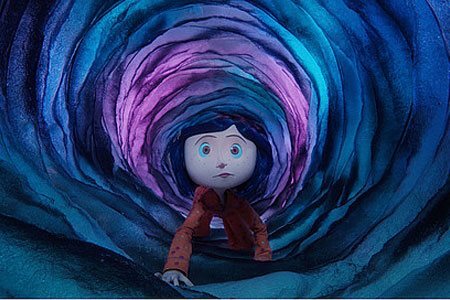 Whatever the case, Coraline is a landmark film, both in terms of stop-motion and original story-telling. While it works as a children's movie, I think it will find its place amongst top-tier films that across the age divide -- even if it does so darkly. Coraline images © Focus Features. All Rights Reserved.